From now unitl 27 January 2014, you can take your teal Christmas trees to any one of 12 designated recycling points. Only 3 weeks left to apply for free trees! The Woodland Trust is once again offering communities, youth groups and schools the chance to apply for packs of free trees for delivery in March 2014. Tree packs come in three sizes – 30 saplings, 105 saplings and 420 saplings in various themes (wildlife, harvest, year-round colour, + more ). I’d advise groups to apply sooner rather than later as the offer is usually oversubscribed and may have to close early. On 30th November The Friends of Manor House Gardens will be planting an urban orchard of trees and edible hedge in the wild meadow areas. These have been kindly donated by The Woodland Trust's Trees for Communities programme. So put on your boots, wrap up warm and head out to help them plant their orchard! Time: 10-3pm ( you don't need to stay the whole time). The Friends of Albion Millennium Green have a workday this coming Saturday 9 November. Clearing the brambles and buddleia, including roots, from the birch woodland area. Investigating the soil depth at various spots for the planting of bluebells in the spring. planting the rest of the Chelsea Flower show plants. Bring tools and waterproof-ish footwear. 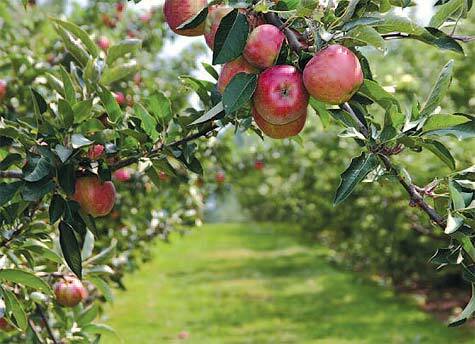 Deptford: Celebrate Apple Day at The John Evelyn Garden! Brockley Society's Tree Wardens will describe our campaign to protect and plant street trees and to encourage appreciation, appropriate planting and management in all gardens. We will also hear from Friends of Hilly Fields about their tree-planting strategy to ensure Hilly Fields retains its leafy appearance for the next 100 years. If you are interested in trees, or want to be involved in caring for them (planting, watering, protecting . . .) if you just want to meet people from the area or find out about Brockley Society, you will be very welcome at the meeting. The Woodland Trust is offering packs of trees for community groups. The Woodland Trust is offering community groups, youth groups and schools the chance to apply for packs of free trees. Whether groups are interested in helping wildlife, creating a community garden or allotment, or just want to enhance their local area – any community groups are very welcome to apply for free trees. The Trust has 4,000 to give away and the tree packs come in three sizes – 30 saplings, 105 saplings and 420 saplings in various themes (wildlife, wild harvest, year-round colour, future firewood and wetland). Applications are open until September, but groups are advised to apply sooner rather than later as the offer looks likely to be oversubscribed. The John Evelyn Community Garden in Deptford are planting fruit trees this spring courtesy of The Big Tree Plant. Its a wonderland of a garden smack in the middle of the Pepys Estate. They engage the local community in growing fresh food using organic and permaculture methods. So get your wellies out and help plant a new local orchard! Contact Malcolm at the garden to get involved. Community groups, youth groups and schools are being offered the chance to apply for packs of free trees for delivery in March 2013. Whether groups are interested in helping wildlife, creating a faith or inter-faith green space, a community garden or allotment, or just want to enhance their local area – any community groups are very welcome to apply. The Trust has 1,250 to give away. The packs come in three sizes – 30 saplings, 105 saplings and 420 saplings in various themes (wildlife, wild harvest, year-round colour, future firewood and wetland). For more information follow this link. The deadline for applications is Christmas and the packs are due to be delivered in the week commencing March 5.